There are four main types of insulation: batt, blown-in (loose fill), rigid board and spray foam. Each has its advantages and limitations, but under the right circumstances, each can meet a homeowner's insulation needs, no matter the project. In the story of insulation, first came fiberglass—and with it, the glittery, itchy, roll-out blankets called batts—ushering in a modern insulation industry that has provided increasingly efficient ways to keep us comfortable. Fiberglass batts can be found jammed into floor, attic, ceiling and wall spaces, or anywhere precious cool or warm air can flow in and out of the home. Remarkably, even with all the innovation that's happened since the industry first introduced fiberglass batts, they are still the most popular insulating material today. "It's not your grandfather's insulation," says Stacy Fitzgerald Redd, director of marketing and communications for the North American Insulation Manufacturers Association (NAIMA), citing improved production methods that make fiberglass less of a skin irritant than in the past. Its ready availability and low cost compared to other methods keeps fiberglass batts attractive to homeowners and builders. Batt insulation gets some green credibility because the fiberglass industry is second only to the glass container industry in its use of recycled mixed-bottle cullet, or waste glass, according to Fitzgerald Redd. In 2014 alone, building insulation manufacturers used almost 2 billion pounds of recycled glass, and more than 49 billion pounds since NAIMA began keeping records in 1992. Aside from the signature scratchiness of many fiberglass products, Fitzgerald Redd says the material has a proven safety record. Mineral wool: Manufactured in much the same way as fiberglass batts, this insulating material is made from melted rock. It also has excellent fire-resistance qualities. Sheep's wool: Sheep's wool has powerful insulating qualities but is pricier than fiberglass and susceptible to moth infestation unless treated beforehand. Cotton: An even greener alternative to fiberglass, cotton holds its own as far as insulating qualities. However, it does not perform well in repelling water, making moisture exposure a potential problem. Installers may charge more because it's difficult to cut with precision, which can increase installation time. Fiberglass and other materials can be "blown" into attics and other spaces like wall cavities. 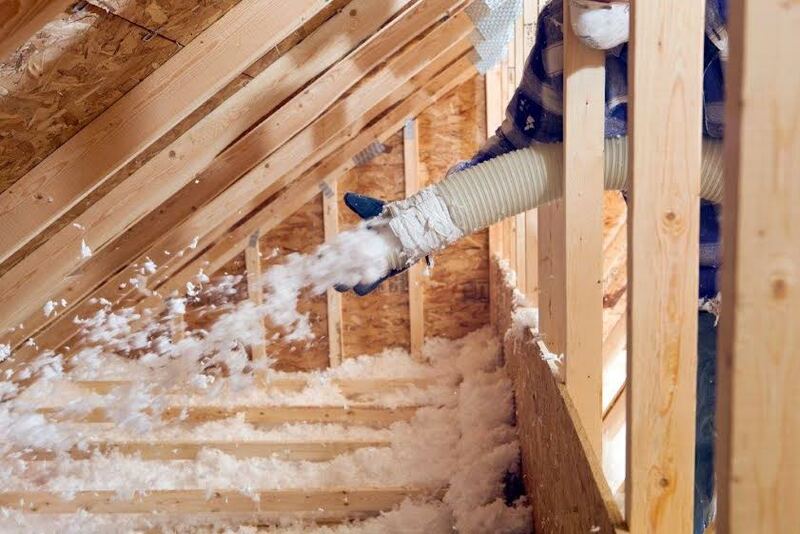 Since blowing in fiberglass means tiny shards of glass become airborne, however, this material is usually reserved for attics and other spaces separated by an air barrier to prevent exposure to those in the home. On the other hand, cellulose, which is made primarily out of recycled newspaper, can be used pretty much anywhere. However, while cellulose doesn't contain glass, it still creates a dusty mess, which is why installation from the exterior in retrofit situations is preferred. Since cellulose has no natural fire resistance, it's typically treated with boric acid or some other retardant before being installed. Installers use special machines to blow in both fiberglass and cellulose, but cellulose is typically mixed with water, enabling it to adhere to surfaces and get into the corners and recessed areas of non-uniform spaces. According to Richard Burbank, co-owner and president of Evergreen Home Performance in Portland, Maine, cellulose is a great product because, "It goes everywhere you want the insulation to be." His company uses blown-in cellulose in lieu of fiberglass batts. To fill in those irregular areas, blown-in fiberglass comes in a self-expanding form that "fluffs up" before leaving the machine so that the material achieves more coverage. Some proponents of fiberglass vouch for its longevity and claim that cellulose will settle over time, leaving some areas completely uninsulated, but cellulose fans point to its high level of recycled material and reportedly better winter-insulating qualities. Both cellulose and fiberglass can be used in closed-off spaces, but they can also be used during new construction or in areas of exposed framing if specialty mesh netting is installed over the cavity to be insulated. For example, the mesh can be tacked onto framing, and installers can simply blow in the material through a resealable hole in the netting. One advantage that any loose fill type of insulation has over batt is that rodents don't seem to care for it as much, helping to avoid infestations. The fill tends to "collapse" onto critters, says Burbank, while a batt provides a nice, stable material into which they can carve trails and dens. Three of the most common types of foam board are expanded polystyrene (EPS), extruded polystyrene (XPS) and polyisocyanurate (ISO). EPS board can be used in both interior and exterior applications, but it's the most susceptible to water intrusion of the bunch. It has an R-Value of about 4 per inch. Its industry moniker is “beadboard,” and it's pretty much the same stuff used in foam coffee cups and shipping coolers. XPS, also referred to as "blue board" or "pink board," is the middle child of foam board products and is primarily used outdoors. ISO has the highest R-Value of all the rigid foams (approximately R-8 per inch when first installed, down to about R-6 over time). However, the tradeoff with ISO is that while it's a harmless in-place material, its production is notoriously non-environmentally friendly. ISO is a thermoset plastic, so it can't be recycled into new board, but it can be repurposed. This expensive board is commonly used in roofing applications, and foil-faced ISOs are a vapor barrier, so it's a viable product for tight-fitting spaces. Burbank’s company still uses foam board regularly to insulate foundation walls during the construction of new homes. He also uses a foil-faced ISO to insulate the interior of basements with smooth walls, as well as to help with any moisture issues. While retrofitting foundation walls with rigid board is possible, it's an expensive and arduous process as the ground around the foundation has to be excavated and utilities located. Since rigid board is essentially plastic and therefore flammable, it needs a thermal barrier dividing it from living spaces, and the standard solution is usually 1/2" gypsum wallboard. Spray foam insulation is the new-ish kid on the block, making its debut as a common building material back in the 1970s. Spray foam starts out as a liquid but can expand 40 to 60 times its initial volume with closed cell foam, and 100 times with open cell foam. There are two types of spray foam: closed cell and open cell. Both are comprised of chemicals commonly referred to as A (methylene diphenyl diisocyanate and polymeric methylene diphenyl diisocyanate) and B (a mix of chemicals and polyols, which are necessary to create the foam reaction). The "A" side of the formula is the toxic stuff (before curing), and there are only a few manufacturers authorized to make it. In fact, installers are required to wear face, respiratory and body protective equipment during installation. In addition, during the foam's curing process, which can take up to 24 hours, occupants are advised to leave the home. Closed cell foam expands to a denser and harder plastic material with an R-Value of at least 6.0 per inch. It's also a moisture barrier, which, depending upon the application, can be good or bad. Of course, making a space airtight is a good thing, but, for example, if it's applied up against a roofline, it can trap moisture, eventually leading to rot. "Closed cell is like putting plastic underneath your plywood," says Dan Post, president and owner of Arctic Express Insulation. "The only way they're going to know they have a roof leak is when they fall through." And you had better love your closed-cell spray foam, because it's impossible to get rid of without some serious elbow grease or big bucks. Conversely, open cell foam is permeable, so moisture can work its way through the material. It's also less dense and softer than closed cell, achieving more of a "foamy" texture and resulting in a lower R-Value. It has good sound control qualities as well. Like rigid foam insulation, the standard thermal barrier is 1/2" gypsum board, but in some cases—like in attic insulation—an ignition barrier like 1/4" wood or 3/8" gypsum board is necessary. Burbank says it's because of the fire hazard that he doesn't install foam in attics. However, he does use it in basement insulation projects where a moisture barrier element is needed. In that scenario, he covers the foam with two coats of fire-resistant paint as a safeguard. And about that smell? Our experts agree that a post-curing residual odor, as well as performance issues, are usually the fault of the installer. Concerns about spray foam, however, are generally outweighed by its benefits. 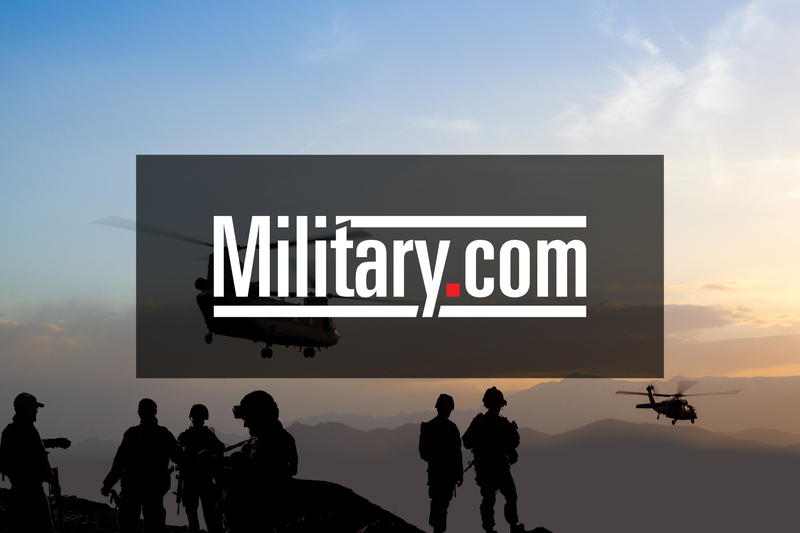 Closed cell foam generally provides the most R-Value per inch of any widely available option, making projects like reclaiming an attic into living space more feasible than ever before. Now that we’re up to speed on the four core types of insulation, read on to part three for an inspirational look at the types of projects that modern insulation technology makes possible, from reclaiming attics into lofts to retrofitting an RV.